Have you ever had a pair of shoes on and then you take them off to realize that weird smell is actually coming from your feet? No worries, it happens to the best of us, and there are ways to avoid that stinky feet syndrome. Our feet do a lot for us and we tend to forget about them. We tend to forget about them until they are hurting and/or giving off a foul odor. The human foot is made up of 100+ tendons, 26 bones, and 250,000 sweat glands. With all of those sweat glands is it any wonder that they may give off an odor once in a while? Our feet have the important job of keeping us upright and have to handle all of our body weight. These same feet can be injured easily, and it is important for us to take care of them. Are your feet sweaty and giving off a foul odor? It is not the actual sweat that causes your feet to give off that smell, it actually bacteria. This same bacteria loves dark and damp places and your feet in shoes are perfect. At some point in time all of our feet will get sweaty and give off oder. Let’s have a look at a few simple ways to reduce the foot order. Odor neutralizing insoles that can be found in many shoe stores. These insoles fit right into the bottom of your shoe and can actually make them more comfortable. These insoles are not too expensive and will give you extra protection from the foot smell. Wear socks with shoes. Seems simple right? Many people will just slip their shoes on with no socks and cannot understand why their feet are sweating. If your feet cannot “breathe”, they are going to sweat. If your feet sweat and there is nothing there to absorb the sweat, the bacteria growth begins. Wash feet daily. If your feet tend to sweat more than usual then you may want to wash them twice a day. Avoid plastic shoes at all costs if you have trouble with foot order. Nylon socks should not be worn. Change socks and shoes a couple times a day. The more you change your socks and shoes the less your feet will sweat. Sprinkle nonmedicated baby powder on your feet. Weat thick absorbent socks that wick away moisture from your feet. Cotton is a good choice for absorbent socks. If you exercise and use athletic shoes then be sure to alternate shoes. The every other day rule will help to reduce sweating and bacteria growing inside the athletic shoe. If you have tried all of the above and you are still having a problem with foot odor then it is time to contact Quality Foot Care. 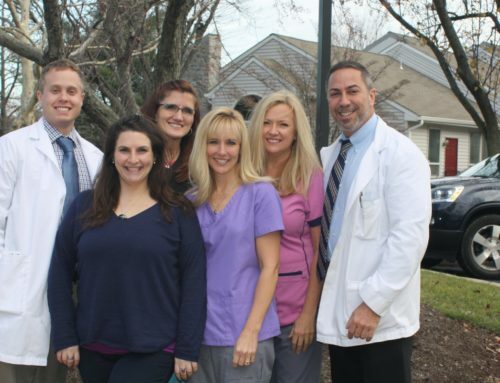 Dr. Ken Lefkowitz is the leading Doylestown, PA foot specialist .